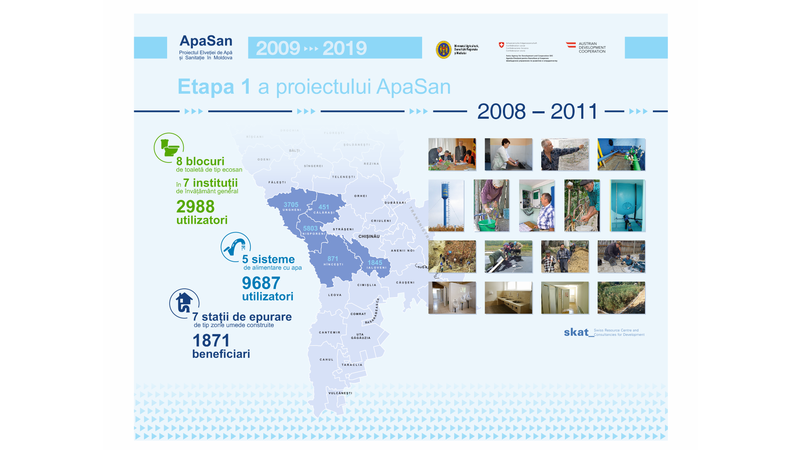 This website makes available the results of the ApaSan project (2008-2019) on water supply, sanitation and strategic planning in Moldova. The rural population`s access to safe water supply and sanitation in Moldova is seriously limited. People in rural areas suffer much worse conditions than their urban counterparts, and within rural areas, it is the poorest and weakest groups that have lowest access to good services. Water and sanitation sector institutions in Moldova face serious challenges in better responding to the needs of the rural population. 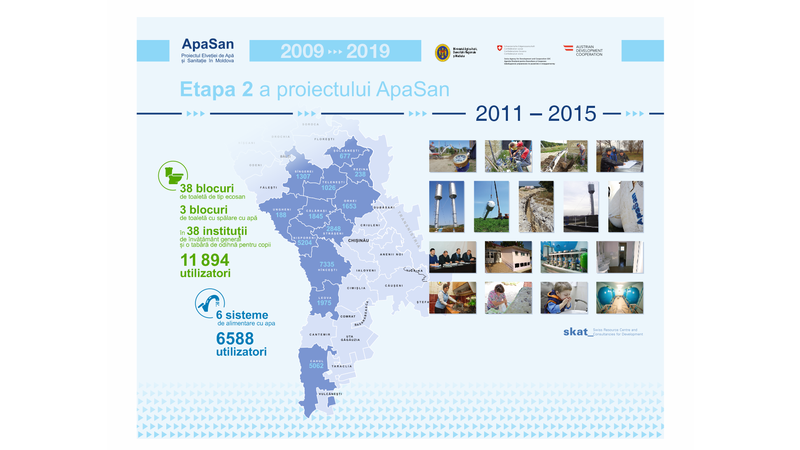 The Swiss Agency for Development and Cooperation (SDC) started to support the water sector in Moldova in 2001 with a humanitarian aid intervention. Since 2008, SDC and the Austrian Development Cooperation (ADC) are funding the ApaSan project, which is implemented by Skat Consulting Ltd. 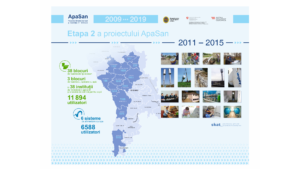 The ApaSan project combines policy influencing, institutional strengthening and support to infrastructure development with the aim to enable Moldovan institutions at all levels to better respond to the needs for water supply and sanitation services of the rural population, including the most vulnerable. The ApaSan project is financed by the Swiss Agency for Development and Cooperation (SDC), co-financed by the Austrian Development Cooperation (ADC) and implemented by Skat Consulting Ltd.